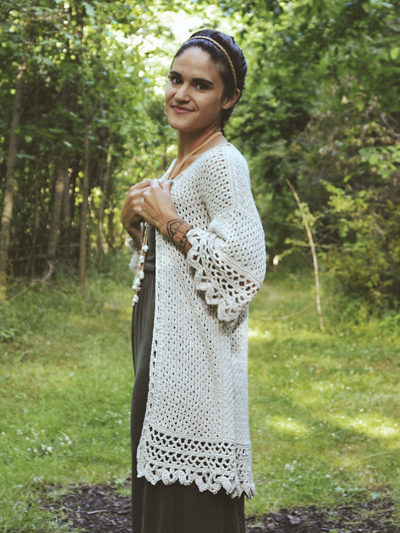 Gypsy Soul is a fun summer cardigan pattern combining knitting and crochet! 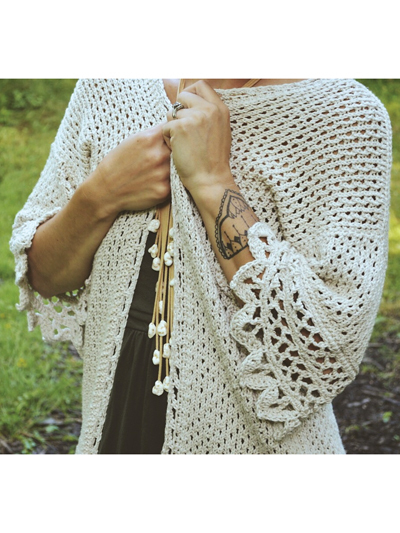 It features an allover, simple, lacy knit body and crochet lace edgings. Knit with 1175 (2310, 2700) yds #4 worsted-weight yarn at a gauge of 17 sts and 26 rows per 4" using U.S. size 5/3.75mm needles and size D/3/3.25mm crochet hook. 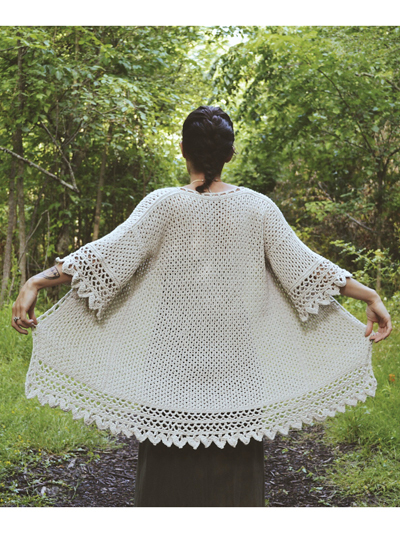 Design by Boho Chic Fiber Co. Previous published title Gypsy Soul.